food trucks to your next meeting or corporate event. Working hand-in-hand with our amazing clients, the NYFTA creates delicious memories through culinary entertainment. 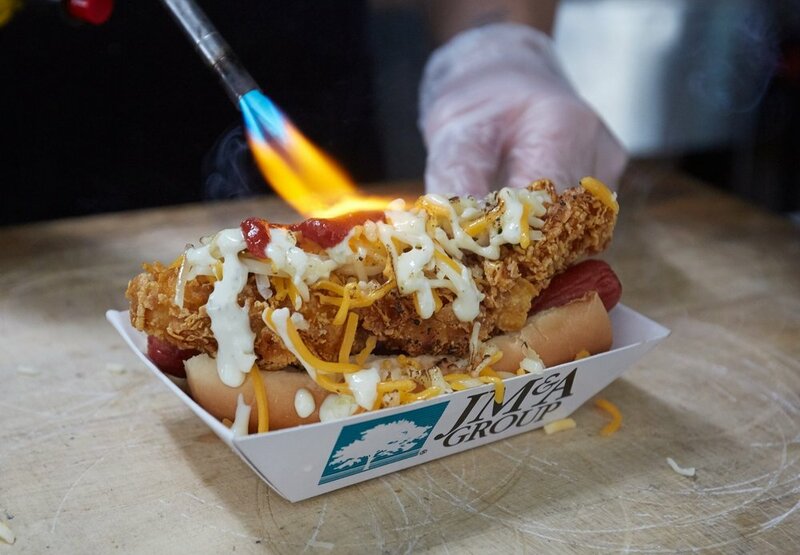 Book food truck corporate catering with the NYFTA, and we'll be there to help every step of the way, from finding the perfect vendor(s) → to insurance and permitting paperwork → managing all the logistics leading up to and during the event. With over 10+ years of food truck experience in NYC, we know which food trucks and carts offer reliable service and the highest quality cuisine. Many of our NYFTA members are award-winning or nationally recognized for their gourmet food truck offerings. From beginning to end, the NYFTA is there to make sure everything goes off without a hitch. Whether you need indoor-friendly vendors or want to provide custom printed menus & waitstaff, our NYFTA team of food truck professionals can help. We deal with all the nitty-gritty details, and will submit any required insurance or permitting paperwork to guarantee a seamless day-of experience. Work with our in-house culinary team & NYFTA members to create a custom food truck catering menu for your event. The cuisine options are limitless - from accommodating allergies & dietary restrictions to offering themed menu items - we'll bring your corporate catering to a whole new excitement level.